Home Archive for category "Study of International Law"
Editor’s Note: This post was first published by the author in French in the Galerie des internationalistes francophones (Gallery of French-Speaking Internationalists) on the website of the French Society for International Law (SFDI). We are particularly grateful that Professor Latty’s translated version will reach the EJIL:Talk! readership around the world. At the start of 2019 and the year long campaign designed around International Women’s Day on 8 March 2019, it may be particularly apt for the readers of EJIL: Talk! 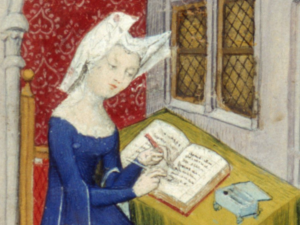 to consider Christine de Pizan (around 1365 – around 1430), a medieval woman of letters, as one of the founders of international law – even if somewhat surprising for several reasons. One is the anachronism attached to this qualification, the invention of the word “international” attributed to Bentham in 1780 being much later than Pizan’s passage on earth. At that time, only a few States, in the contemporary sense of the term, had taken shape, while the idea of a legal system organizing their relations was still in limbo. Moreover, Pizan is not a woman of law but an intellectual “all-rounder”. Above all, she has been completely ignored by internationalist scholars – with the notable exception of the Belgian Ernest Nys who devoted several studies to her work, or rare authors such as Anzilotti who mentioned her contribution in his Corso di diritto internazionale (vol. I, transl. G. Gidel, Sirey, 1929). She has since disappeared again from the teachings of the most highly qualified publicists, whereas since the end of the 20thcentury, the rediscovery of her work has been the subject of extensive study in other fields of human and social sciences. However, her Livre des faits d’armes et de chevalerie (The Book of Deeds of Arms and of Chivalry) is one of the first known texts on the law of war. This is why a legal historian specializing in the status of women once presented Pizan not without emphasis as the “mother of international law” (M. T. Guerra Medici, « The Mother of International Law: Christine de Pisan », Parliaments, Estates and Representation, vol. 19, 1999, n° 1,pp. 15-22), thus supplanting a Grotius whose paternity was already highly doubtful (Ch. Leben, « Grotius : père du droit international », in Dictionnaire des idées reçues en droit international, Paris, Pedone, 2017, pp. 279-285). In any case, in the pantheon of the founding “fathers” of international law, haunted by men, Pizan should occupy a special place: she is not only the first woman to have written about “international” law; she is one of its very first known authors, even before Vitoria, Gentili or Suarez. This post, and its sister post on OpinioJuris, mark the start of the seventieth session of the International Law Commission. Under the theme “70 years of the International Law Commission: Drawing a Balance for the Future”, commemorative events will be held on 21 May in New York and on 5-6 July in Geneva. In these two posts, Christiane Ahlborn and Bart Smit Duijzentkunst of the Codification Division of the United Nations Office of Legal Affairs, which serves as the secretariat of the Commission, place the role of the Commission in a historical context and discuss its promises and challenges moving forward. Note from the Editors: This post concludes our first EJIL:Talk! Contributing Editors’ Debate, where our distinguished Contributing Editors lent their views on broad themes of international law and the state of the art, science, and discipline of international law. Our thanks to Andreas Zimmermann (Co-Director of the Berlin-Potsdam Research Group, ‘The International Rule of Law – Rise or Decline?’) for leading the charge with Monday’s post, and to Monica Hakimi (Tuesday posts here and here), Christian Tams (Wednesday’s post here), and Lorna McGregor (yesterday’s post here) for thought-provoking responses throughout this past week’s Debate. I am grateful for the thoughtful comments this week by Lorna McGregor, Monica Hakimi and Christian Tams on my initial post. It is first worth noting that all three colleagues use in the headlines of their comments the notion of ‘turbulent times’ respectively ‘decline and crisis’ which indicates, at least in my view, that there is at least a certain intuition (as Christian Tams put it) that the international legal order (to use yet another maritime metaphor) currently has to navigate through heavy weather. This in and of itself seems to warrant the research agenda I have tried to lay out in my initial post. Yet, while to some extent the comments have, at least partially, focused on what approaches or strategies are appropriate to eventually overcome any alleged ‘decline’ in the international rule of law, I continue to believe that the foremost question is, first, as to whether we indeed, if so to what extent, and in which areas of international law in particular, we currently face such decline. In that regard I fully share the almost obvious position that any such determination requires much more research than what can even be hinted at in a short blog contribution like the one I have written. As a matter of fact such analysis must be nuanced (what areas of international are most concerned and why), multifaceted, interdisciplinary, and must focus, inter alia, on challenges for institutions that form the cornerstone of modern international law such as international organizations (providing for fora for interstate cooperation and the regulation of problems of international concern) and international courts and tribunals (providing for legally binding third party dispute settlement of international disputes). Note from the Editors: This week we hold the first EJIL:Talk! Contributing Editors’ Debate, where some or all of our distinguished Contributing Editors lend their views on broad themes of international law and the state of the art, science, and discipline of international law. Our thanks to Andreas Zimmermann (Co-Director of the Berlin-Potsdam Research Group, ‘The International Rule of Law – Rise or Decline?’) for leading the charge with Monday’s post, and to Monica Hakimi (Tuesday posts here and here), Christian Tams (yesterday’s post here), and Lorna McGregor for thought-provoking responses throughout this week’s Debate. In a thought-provoking post, Andreas Zimmerman traces the ‘(increasing?) tendency, at least by some States, to bluntly disregard international law, and to challenge its normativity as such’. In his conclusion, he focuses on the role of scholars which he frames as a ‘vocation … to carefully analyse to what extent, and for what reasons, the international rule of law may thus have become an endangered species, and how to protect it’. He proposes that ‘at least for the time being, [the role of scholars] is to carefully analyse, first, what the actual rules to be applied are, rather than aspiring to further ‘improve’ its content’. He argues that ‘[i]t is only this way that under the prevailing circumstances as many States as possible may be convinced that abiding by the international rule of law continues to be in their own interest’. In the constraints of this short blog, I focus on the argument made by Zimmerman that scholars should desist from ‘aspiring to further ‘improve’ [the] content’ of the international rule of law. In the first part of this post, I note that scholars and practitioners often make arguments against the creation of new treaties. On their face, these arguments appear to support a focus on ‘the rules to be applied’. However, they are usually (but not always) made on pragmatic grounds of what is politically and strategically possible and there are many examples of the adoption of new treaties to fill gaps and for other purposes such as enforcement. This is particularly the case during ‘turbulent times’. Moreover, I suggest that it is difficult to draw a clear distinction between ‘the actual rules to be applied’ and ‘improvements’ to them as the application of existing norms typically involves elaboration and a thickening of international law. I therefore ask whether a distinction between application and improvement inadvertently risks stifling the role of international law in ‘turbulent times’ and undermining its expressive function. I then question whether aspirations to ‘improve’ the content of the international rule of law are in any case a central cause of backlash. This is a key determinant to whether such ‘aspirations’ should be curbed in scholarship. Drawing on the burgeoning literature on compliance and implementation of international law, I suggest that the reasons states disregard and challenge international law are complex and varied and scholarship needs to work within this complexity, particularly from a multi and interdisciplinary perspective, if it is to effectively protect the international rule of law. Note from the Editors: This week we hold the first EJIL:Talk! Contributing Editors’ Debate, where some or all of our distinguished Contributing Editors lend their views on broad themes of international law and the state of the art, science, and discipline of international law. Our thanks to Andreas Zimmermann (Co-Director of the Berlin-Potsdam Research Group, ‘The International Rule of Law – Rise or Decline?’) for leading the charge with Monday’s post, and to Monica Hakimi (Tuesday posts here and here), Christian Tams, and Lorna McGregor for thought-provoking responses throughout this week’s Debate. Note from the Editors: This week we hold the first EJIL:Talk! Contributing Editors’ Debate, where some or all of our distinguished Contributing Editors lend their views on broad themes of international law and the state of the art, science, and discipline of international law. Our thanks to Andreas Zimmermann (Co-Director of the Berlin-Potsdam Research Group, ‘The International Rule of Law – Rise or Decline?’) for leading the charge with yesterday’s post, and to Monica Hakimi, Christian Tams, and Lorna McGregor for thought-provoking responses throughout this week’s Debate. In my previous post, I argued that international law does not foster cooperation at the expense of conflict. It fosters both simultaneously. It helps the participants overcome their differences and achieve a shared agenda, while helping them have and sharpen their disputes. The two kinds of interactions are symbiotic, not antithetical, so the fact that international law cannot stop global actors from inflaming or continuing to have a conflict is not good evidence of its weakness or decline; international law itself enables such interactions. Below, I take my argument a step farther. I claim that the conflicts that are had through international law are not just something to grin and bear; they are often quite productive for the legal project. I then return to the central question that Andreas posed: how might we assess whether international law is in decline? Andreas Zimmermann’s interesting post raises foundational questions about international law’s role in the global order. In suggesting that international law is in decline, he assumes a particular vision of what international law does or should do, and thus of how we might evaluate its decay. The vision seems familiar. Many contend that the role of international law is to help global actors curb their disputes and promote their common interests, policies, or values. Of course, these actors will at times disagree. But according to this view, conflicts—normative disputes that manifest in materially relevant ways—are impediments to international law or problems for international law to overcome. They detract from or betray the limits of international law, at least insofar as they persist without final or authoritative resolution. For example, Andreas suggests that states’ noncompliance with judicial decisions is evidence of international law’s weakness or decline. It shows that international law cannot effectively or legitimately resolve a dispute that is impeding the realization of the prescribed (and presumably shared) agenda. He thus ends his post by arguing that, “in turbulent times,” like the current one, international lawyers and legal scholars ought to insist that the law be applied as it is, and ought not push it in more contentious, value-laden directions that would further destabilize it. Below and in a follow-up post, I draw on two of my recent articles to explain why that vision for international law is flawed. I then use this analysis to bring into sharper focus one of the principal challenges that international law now confronts. Times Are Changing – and What About the International Rule of Law Then? Note from the Editors: This week we hold the first EJIL:Talk! Contributing Editors’ Debate, where some or all of our distinguished Contributing Editors lend their views on broad themes of international law and the state of the art, science, and discipline of international law. Our thanks to Andreas Zimmermann (Co-Director of the Berlin-Potsdam Research Group, ‘The International Rule of Law – Rise or Decline?’) for leading the charge, and to Monica Hakimi, Christian Tams, and Lorna McGregor for thought-provoking responses throughout this week’s Debate. In 2013, I, as a member of a group of Berlin-Potsdam-based international law scholars, together with colleagues from political science, applied for major funding for what we considered an evolving and growing research question in international law, namely whether the international legal order is facing a significant structural change, which we referred to as a possible ‘Rise or Decline of the International Rule of Law’. What we could not and did not expect (or in order to be cynical: did not hope for) was that major political developments such as, to name but a few, inter alia, the crisis in Ukraine; the election of US President Trump (as to effects on international law thereof see here) and his ensuing political steps such as the termination of US participation in the Paris Agreement to provide but one example; or the growing critique vis-à-vis the International Criminal Court, and other developments we have witnessed in recent years would prove that indeed this is a valid research question to be asked. What is even more striking is that a significant number of academic events that have recently taken place such as a seminar on ‘International Law in a Dark Time’, a workshop on “International Organizations in Crisis? Rising Authority and Perceptions of Decline”, a conference on a “New International Order in an Isolationist World”, the 2018 ESIL Research Forum on ‘International Law in Times of Disorder and Contestation’ follow a similar, or at last closely related, research agenda. That clearly indicates that the debate as to the rise or decline of the international rule of law is in itself also on the rise, rather than in decline. Comments Off on Times Are Changing – and What About the International Rule of Law Then?